Everyone on St. Martin—not to mention the plants and animals around us—is deeply familiar with the drought that has gripped the island in recent months. To the migratory birds that are just arriving from North America, it must be quite a surprise. What will they find when they arrive? 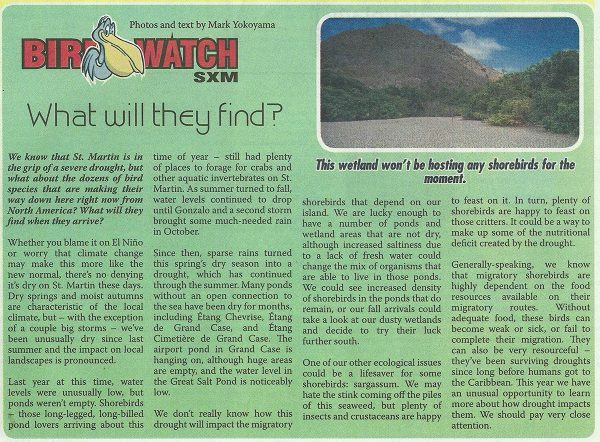 We take a look in this week’s Bird Watch SXM.